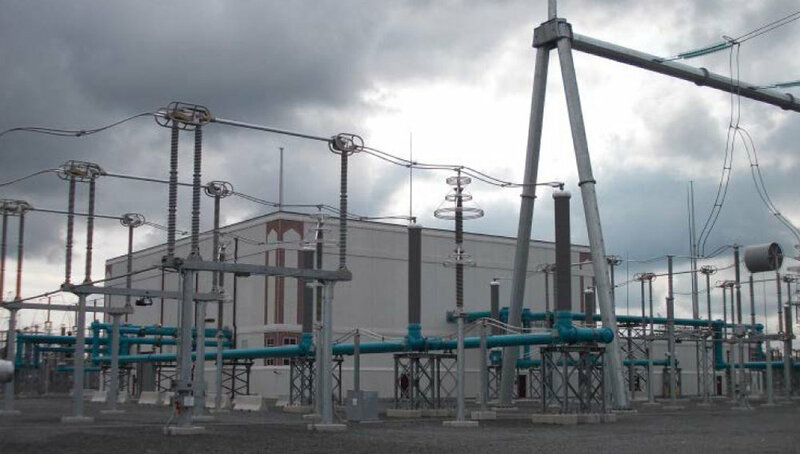 The Susquehanna-Roseland Electric Reliability Project is a 500,000-volt 145-mile transmission line passing through 16 municipalities from the PP&L Susquehanna Nuclear Plant in Pennsylvania to PSE&G's substation in Roseland, New Jersey. PSE&G built the New Jersey portion of the line, while PPL Electric Utilities, built the Pennsylvania portion. The power line project was mandated by PJM Interconnection, the regional entity responsible for planning the transmission system, who determined that the new line was necessary to ensure reliable electric service. The New Jersey portion of the line is 45 miles long and runs between Hardwick, New Jersey and Roseland, New Jersey. Each switching station along the line was upgraded to more efficient Gas Insulated Switchgear (GIS) to reduce the area needed for the switching equipment. Each line replaces existing air insulated connections to transformers and bus work with Gas Insulated Bus (GIB) or solid dielectric cables. The majority of newly installed Gas Insulated Switchgear (GIS) is housed in new 50' high precast concrete GIS buildings with integral 20' high control rooms. Hoch Associates served on the project team as the architect and engineer for the GIS buildings and control rooms for each site.